Fred at Divided by 13 Amplifiers builds high quality guitar amplifiers, by hand, one at a time, and with great attention to tone, utility and craftsmanship. the LDW 17/39 is in responce to the request to say make a 'the little brother' to the JJN 50/100 with a little twist. The new AMW 39 is an amplifier we were asked to developed that would be made small enough to fit on top of our 2x12D and deliver the same sound and performance as the LDW 17/39. The TBL 200, slow, limited and foggy tone is replaced with tight, punchy, fast and dynamic amounts of tight low end, along with correct and defined mids and highs. The 10/20 offers a few exclusive features making it ideal for smaller gigging and recording situations. the biggest sound in a low wattage amplifier heard to date, and NOW with the increased "Flexibility" some customers need. Simply stunning tonal variety for all low wattage applications! 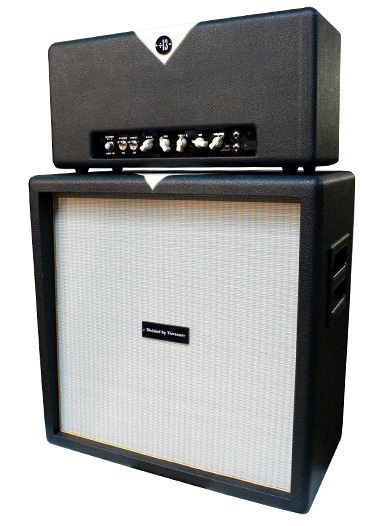 The FTR 100 is one of our two new bass amplifiers, though the 100 watt can be used quite adequately for guitar as well.